This weekend's blockbuster Batman v Superman: Dawn of Justice provided DC Comics fans a glimpse of heroes Aquaman (Jason Momoa), The Flash (Ezra Miller) and Cyborg (Ray Fisher), before they come together in Justice League Part 1. Principal photography will begin on Justice League Part 1 on April 11, although it isn't known when shooting will begin on Aquaman, The Flash or Cyborg yet. Aquaman director James Wan was at WonderCon this weekend to promote his new horror-thriller Lights Out, and he teased in an interview with IGN that it won't have the same dark tone as Batman v Superman: Dawn of Justice, and will be much more fun. "The kind of filmmaker that I am, even my darker horror films are still very fun. And I think that's important for me and the kinds of films I make. The film I'm here to present, Lights Out, is a fun horror film. And I think Aquaman is a character who has... you know, been made fun of a lot over the years, and I think it's kind of fun to show a really different, cool, badass side to this character - but at the same time, let's not forget to have fun with it." Following this year's Batman v Superman: Dawn of Justice and Suicide Squad, Wonder Woman will be the first DCEU movie released in 2017, which is still in production. Justice League Part 1 then begins shooting this April, giving star Gal Gadot no time to breath between franchise sequels. All of these movies plan to introduce their characters in the same way, appearing in someone else's movie first before setting off on their own adventure. As the Justice League Part 1 story will continue on in Aquaman and The Flash, Diana Prince's Batman v Superman: Dawn of Justice story will also continue on in her own solo movie. We reported in January that Amber Heard is in talks to play the female lead, Mera, who first will make her DC Comics Extended Universe (DCEU) debut in Justice League Part 1. In the DC Comics, Mera hailed from Xebel, an underwater colony made of descendants of Atlantis separatists, who were exiled from the kingdom. Mera was originally sent by her people to kill Aquaman, but they ended up falling in love, and they sought to unite all of Atlantis through their marriage. Mera has most of the same powers as Aquaman, but she also has what is known as aquakinesis, which allows her to manipulate water with her mind and create hard objects out of water, which can be used as weapons. Aquaman and Mera have also had a rocky relationship in the comics, with Mera turning against him on several occasions, forcing him to choose between her and their child. James Wan is directing, with Warner Bros. currently developing two different scripts at the same time. The first is being written by Kurt Johnstad (300: Rise of an Empire), with the second by David Leslie Johnson (Wrath of the Titans). Will Beall (Gangster Squad) was working on an earlier version, but it seems he isn't involved anymore. 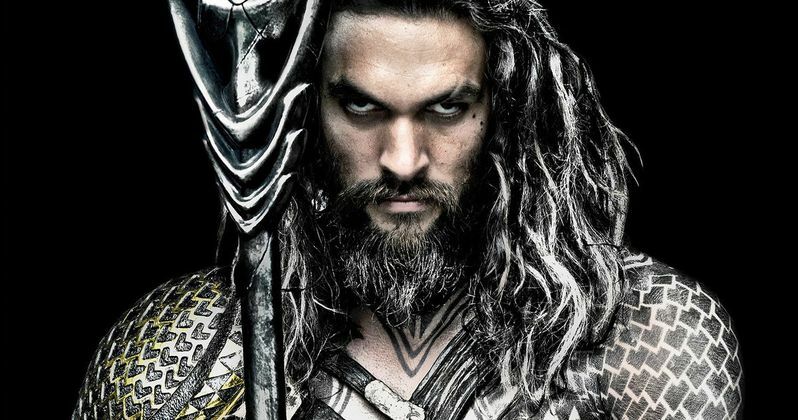 We'll be sure to keep you posted about when shooting will begin on Aquaman. Are you excited that Aquaman will have a more "fun" tone? Could this mean that DC and Warner Bros. are re-evaluating their "no jokes" policy with the DCEU?